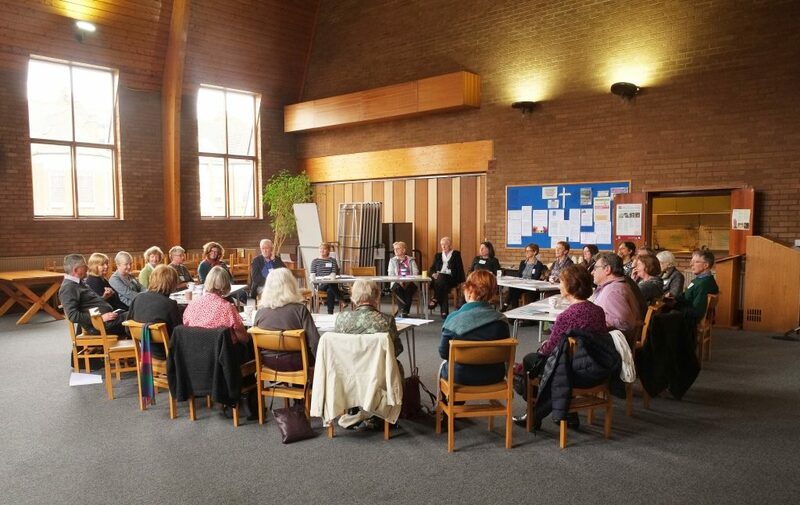 In March 2019 our first Welcome to New Members event, organised by Llorett Kemplen, attracted about twenty-five new members to the Union Church and Community Centre, the venue for our Monthly Meetings. It was attended also by the members of the Steering Group who were responsible for the establishment of the Crouch End and District U3A (CEDU3A) in October 2017. Sue Felgate, Chair, spoke on the history and principles of the U3A movement, Sally Whitaker, Vice-Chair, outlined how CEDU3A was organised, and Andrew Sich, Treasurer, explained how the CEDU3A finances worked. Members were briefed of how the interest groups were organised and managed, and how information about our U3A is disseminated, i.e. through the regularly updated website. Members broke into smaller groups, exchanged views about their initial impressions and frustrations about CEDU3A, and put forward a number of positive suggestions for the soon-to-be-elected Executive Committee to discuss in order to improve the running of our U3A for the benefit of all. A big thank-you to Llorett and also to those who attended!